Where to Buy Contrac Blox 4 Lb, Contrac All Weather Blox Rodenticide - 4 x 4 lb Pails - $96.55 for Sale with Fast Free Shipping! 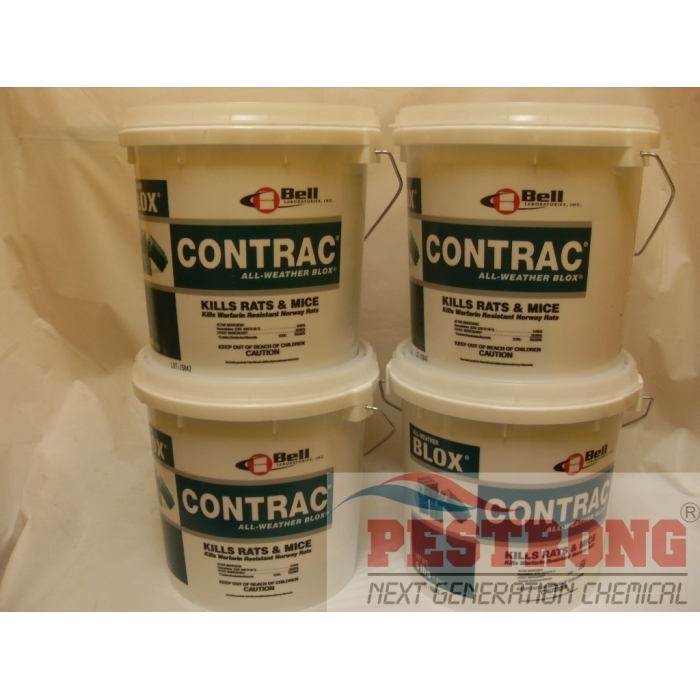 Contrac All Weather Blox Rodenticide - 4 x 4 lb Pails is same as Contrac Blox - 18 Lbs pail, but more convenient package as 4 pails. B&G Termite Liquid Pretreat Wand 22067820..
Works very well in warehouses where seeds are kept, protecting backs from costly rat/mice damage. Effectively eliminates mice populations. It does the job, just keep feeding them until they stop eating, wait a little and they are gone, nice and simple.